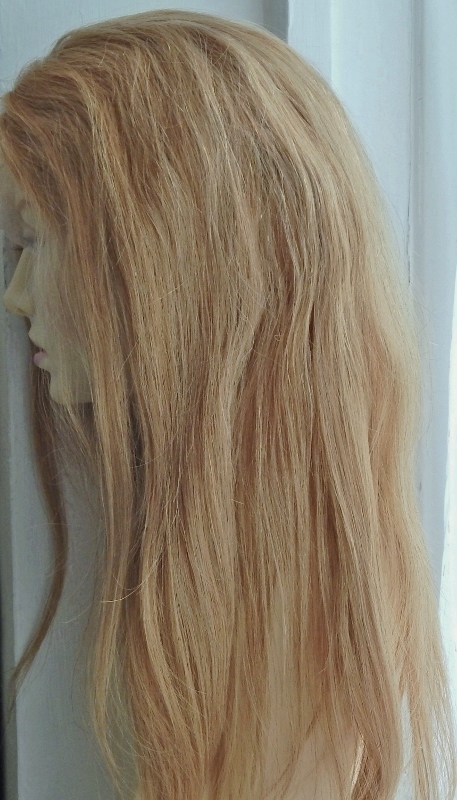 Cap Construction: Medium brown lace front three inches deep across the front with wefts throughout – solid integral cap – see images) wefts are attached to an open weft cap; three combs (sides and back); adjustable straps; can be worn without adhesive (or more frequently termed “glueless"); unbleached knots (this reduces shedding and can be covered using concealer or foundation), fine hairs (baby hairs) at the front. 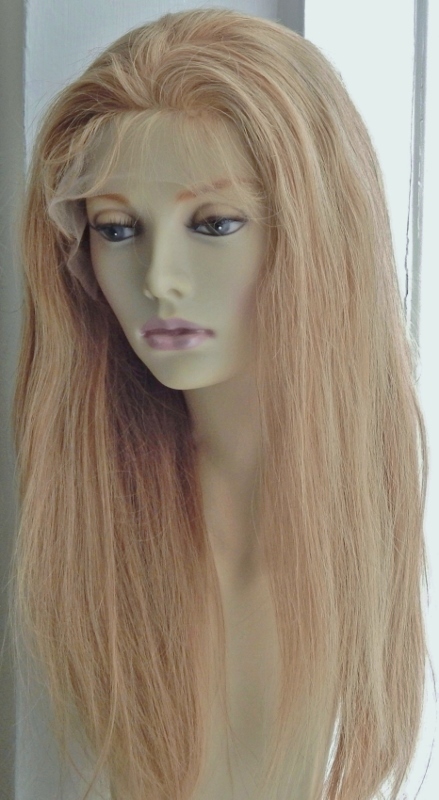 The Bella strawberry blonde mix in a straight texture is a great look for lace front wigs. If you're looking for something that is darker than a platinum blonde (#613) and contains lowlights then this colour is ideal. 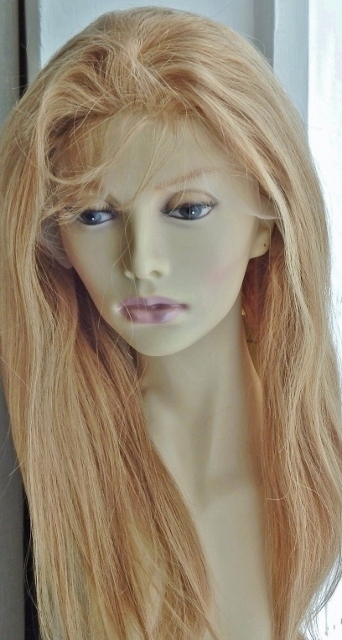 A close up of the hairline shows the fullness of the density.